Rescue crews searched for victims Monday amid the splintered lumber and twisted metal where homes once stood, after the deadliest U.S. tornado in nearly six years ripped through a rural Alabama community. At least 23 people were killed, some of them children. 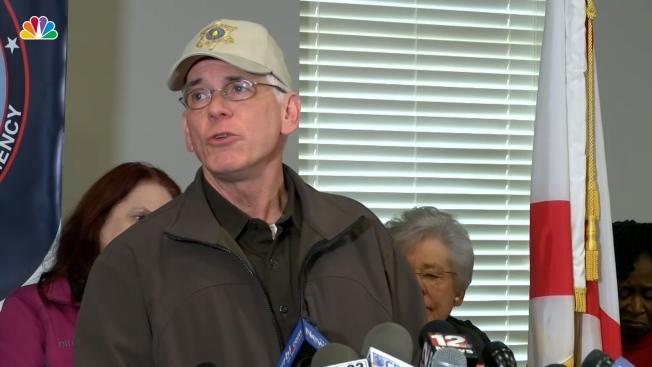 Dozens remained unaccounted for in Lee County nearly a day later, according to the sheriff, who said that crews had combed the hardest-hit areas but that the search was far from over. "I'm not going to be surprised if we don't come up with some more deceased. Hopefully we won't," Coroner Bill Harris said. Harris said the dead included almost entire families and at least three children, ages 6, 9 and 10. The National Weather Service said one and possibly two tornadoes struck the area Sunday afternoon, with a powerful EF-4 twister with winds estimated at 170 mph blamed for most of the destruction. 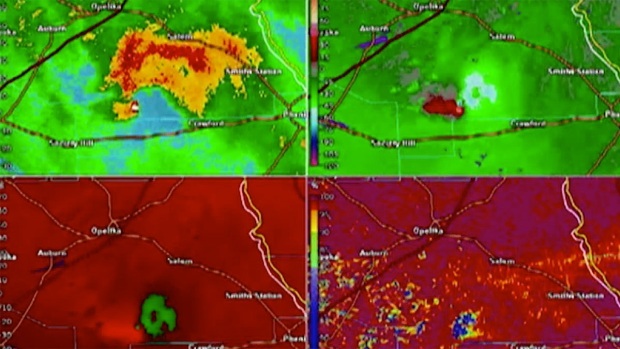 The bigger tornado carved a path nearly 1 mile wide and 24 miles long, stretching toward Georgia, said Chris Darden, the agency's chief meteorologist in Birmingham. The killer winds left shredded metal dangling from the trees and obliterated homes, leaving little more than concrete slabs. Darden said the "monster tornado" was the single deadliest twister in the U.S. since May 2013, when an EF-5 killed 24 people in Moore, Oklahoma. With daybreak, volunteers used chain saws to clear paths for emergency workers, while at the R&D Grocery, people asked each other if they were OK.
"I'm still thanking God I'm among the living," said John Jones, who has lived most of his life in Beauregard, an unincorporated community of roughly 10,000 people about 60 miles east of Montgomery near the Georgia state line. President Donald Trump tweeted that he told the Federal Emergency Management Agency to give Alabama "the A Plus treatment." "All we could do is just hold on for life and pray," said Jonathan Clardy, who huddled with his family inside their Beauregard trailer as the tornado ripped the roof off. "It's a blessing from God that me and my young'ns are alive." Beauregard, named for a Confederate general, is in a rural corner of the same Alabama county that is home to Auburn University. The community has a few small stores, two schools and a volunteer fire department dotting the main highway that runs through town. The sheriff estimated up to 10,000 people live in the area. Levi Baker took a chain saw to help clear a path for ambulances and other emergency vehicles. 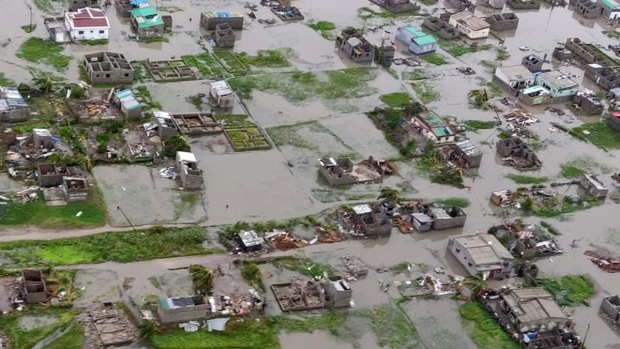 He said he saw dead people and animals and demolished houses, with one home swept off its foundation and left in the middle of a road. Along the hard-hit country road, giant pieces of metal from a farm building dangled from pine branches 20 feet in the air, making loud creaking sounds as the wind blew. For an entire mile down the road, pines were snapped in half. 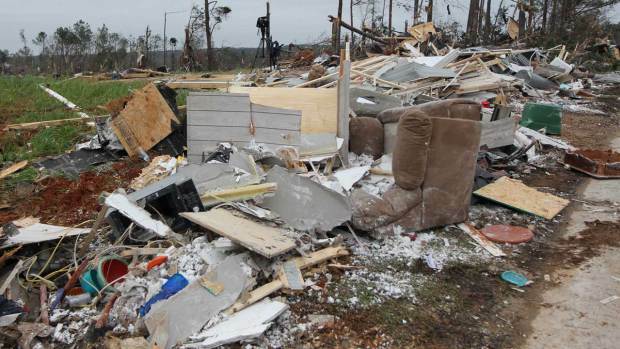 A mobile home crushed by two trees marked the end of the path of destruction. The National Weather Service's Storm Prediction Center in Norman, Oklahoma, posted forecasts for higher possible tornado activity in the region on Thursday, three days before the killer twister struck. University of Georgia meteorology professor Marshall Shepherd said the weather service and its prediction center "were all over it in the days and hours before the storms." Associated Press writers Russ Bynum in Savannah, Georgia; Seth Borenstein in Washington; Bill Cormier in Atlanta; and Ryan Kryska in New York contributed to this report.